Of course, everyone knows Flappy Bird, the insanely head-banging game that became a huge title overnight due to its simple yet frustratingly hard gameplay. It blasted off to the top of the charts and raked an ample amount of money due to superimposed ads. Now, Dong Nguyen is back with a new title - Swing Copters. 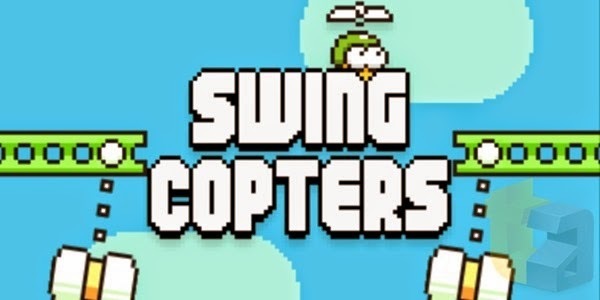 The Swing Copters is a promising game that has the same charm of the Flappy Bird. The gameplay is a no-brainer - avoid the swinging hammers while trying to beat your existing high scores. The app is still as difficult as the original title. Stay tuned for the Swing Copters in the App Store on Thursday, August 21. It will be absolutely free to download. Check out the video below and tell us what you think about these copters.